More often than not, our family enjoys taking advantage of Army four-day weekends to travel out of town to see friends and family. This past weekend though the idea of going out of town never even crossed our minds. We were very much looking forward to catching our breaths and hanging around town! This weekend we enjoyed a couple morning family runs around a local park, worked hard in the yard, watched way too much football while laying on the couch, attended our first family movie (we saw The Minions! ), and spent time with friends at a potluck barbecue. 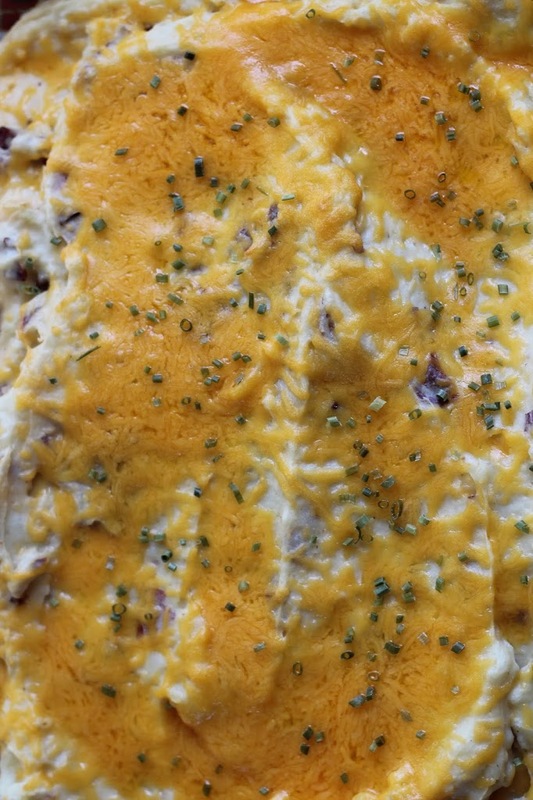 I wanted to share what I brought to the barbecue – a Twice Baked Red Potato Casserole. 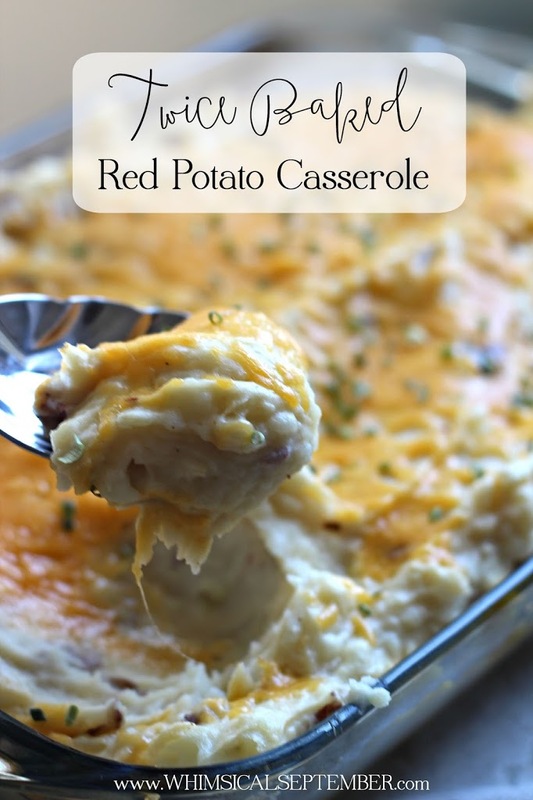 I’ve been making this side dish for potlucks for years, and it’s always popular! It’s also rather inexpensive and quick to make, which equals a winning staple in my book. Not only would this be a great side dish to serve at a football-watching party this fall, but it’s also a great year-round dish too. Directions1. Quarter potatoes and boil until extra tender and easily pierced with a knife (about 20-30 minutes). Drain potatoes and return to large pot.2. Preheat oven to 350.3. 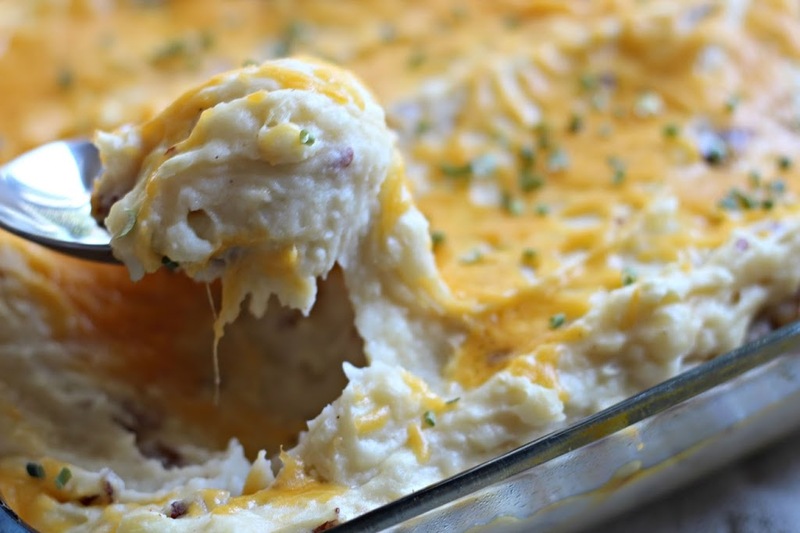 Mash potatoes until all clumps are removed.4. Mix remaining ingredients (except for one cup of cheese and chives) into large pot and combine well. Mixture should be smooth.5. Grease 9×13 pan and spoon in mixture. Top with remaining one cup of cheese. Bake for 15 minutes. Top of chives.6. Best served piping hot!Let’s chat!1. Do you have a staple item that you frequently bring to potlucks?